The Department of Agriculture and Rural Development in the Mekong delta province of Bac Lieu yesterday said outbreaks of bird flu have been reported in the province lately. 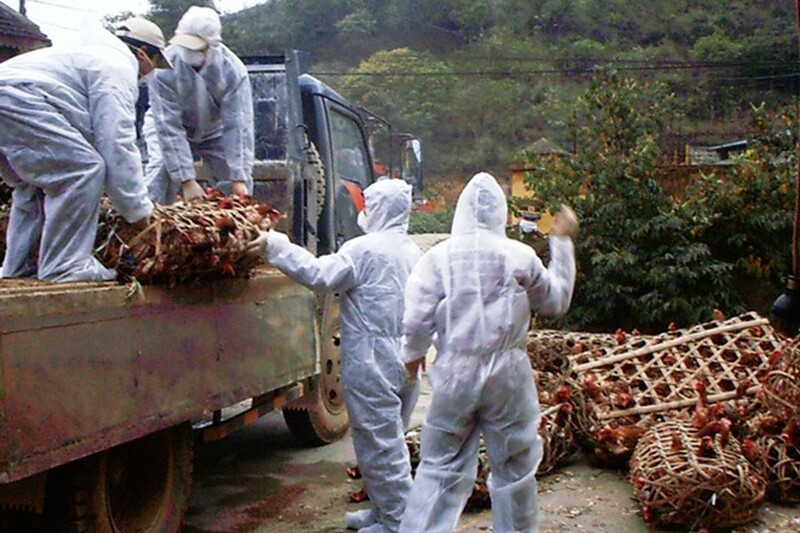 From January 24 to February 14, five outbreaks of bird flu were reported in Phuoc Long Town, in Vinh Phu Dong and Vinh Thanh Communes and killed 6,350 poultry. Health authority keeps the disease under close observation by enhancing the quarantine, transportation, slaughter and veterinary check. Meantime, in An Giang province, local health authority has ordered the destruction of 800 waterfowl at a poultry farm of farmer Van Thanh Long in Tan Trung Commune in Phu Tan District since February 13 after tests showed the poultry is positive for bird flu virus. Animal Health and Husbandry Department also injected 5,800 dozes of vaccine for poultry in Tan Trung and Phu Hung communes in Phu Tan District. In Dong Thap province at the heart of the Mekong Delta, tests showed the rate of infected poultry in markets is 10-15 percent. All infected poultry is bred in small farms. The agriculture and rural development sector in the Mekong delta ordered departments of animal health to liaise with relevant agencies to increase information of the disease and encourage locals to implement preventive measures against bird flu including informing local administration of outbreaks and not throwing away dead poultry into rivers and not trading diseased animals.